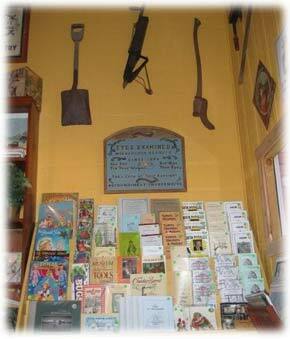 The Floral City Museum Country Stores Raise Funds for the Museum Exhibits and Further the Knowledge and Appreciation of the History and Heritage of Floral City. 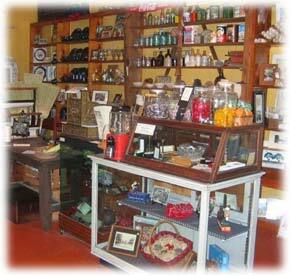 View items for sale in our "Country Store"
The purpose of most museum stores is to raise funds for the museum and its exhibits and to further the knowledge and appreciation of the history and heritage of the area it serves. 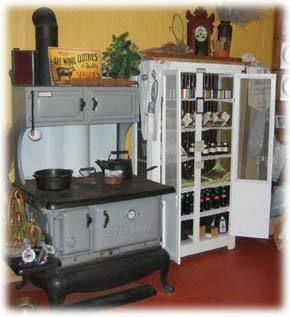 Serving a special niche in the county, the Museum's “Country Store” will be offering items relating directly to Floral City, Citrus County and other items seldom found at the modern chain stores, such as feather dusters, wooden handle corn brooms, glass wasp catchers, antique tin signs and wooden toys and hand fans. In addition to books representing Citrus County and Floral City history, there are reproductions of historic Florida maps (some rare), historic Floral City stereoscopic view cards from 1883 and antique post cards have been reproduced for visitors. The store also offers an impressive selection of items for children: Classic storybooks, jigsaw puzzles, marbles, Tic-Tac-Toe, checkers, steam boat and train whistles, wooden toys, small stuffed animaks and an array of reproduced vintage tin toys. Select jewelry items in the store include necklaces with silver oak trees or 1882 coins and reproduced Seminole beaded necklaces and blue chevron bead necklaces reminiscent of Floral City's early Native American period. There are build-your-own wine glass rings, bracelets, pins or bookmarks. Pens, Pencils, letter openers, magnifying glasses and other items are present in the Store: these were made from the wood of pecan trees from a grove that once grew where the Museum stands now. Also available in the "Avenue of Oaks"design are coffee mugs and tee shirts - long and short sleeve, tank tops, sweat shirts, and wall clocks. A photograph of the Avenue of Oaks" by photographer Rebecca Pujals-Jones is a featured post card in black and white 5"x7" format. To further reflect the long history and pre-history of Floral City, a new reference booklet titled, “A Time Line of Floral City, Florida” presents happenings in the area from 10,000 BC to present day. 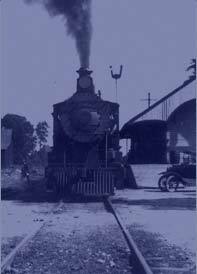 Half of its 44 pages are comprised of photos and prints; many of which previously have not been published. 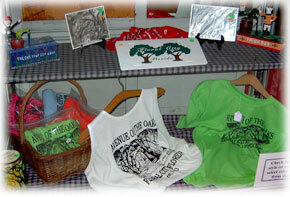 Local artists have significantly contributed to the variety of items in the Store. Folk artist Polly Bernard’s painting of Floral City is available in post cards. Pecan wooden writing instruments and household items made from trees of an old Floral City pecan grove are offered by member Linda Coles. Artist and writer Paulette Richie's varietly of note cards are available. Many other note cards, Victorian paper products, books and folk art are being offered, as well as selected food items such as local honey, and Watkins flavorings, herbs and seasonings. 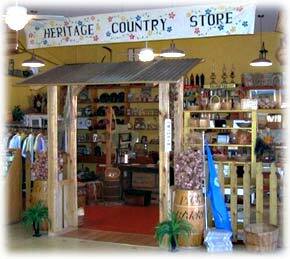 The "country store is the go-to-place for all Floral City Memorabilia.